Livorno is a vibrant port city well connected in terms of transport. Every year it attracts thousands of tourists to visit museums, galleries, cafes and restaurants. It is also an important departure point for cruises around the Mediterranean sea. 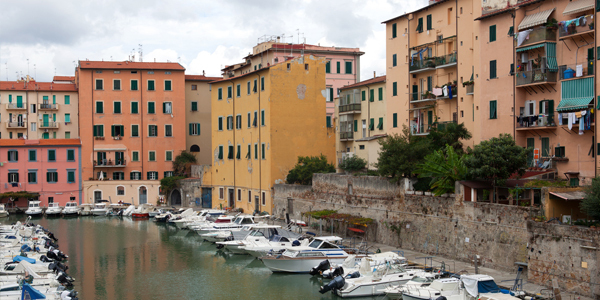 Livorno is a port city on the Ligurian coast, in western Tuscany, in Italy. The city is also the capital of the province of Livorno with approximately of 161,000 residents according to which makes it quite difficult to find secure and low cost Livorno parking. With ParkCloud you will find a Livorno parking option located close to the city centre and the port. No matter if you are planning sightseeing or shopping in the city centre, or even if you are working in Livorno, ParkVia has a solution for you. With ParkCloud, you have the peace of mind that comes with a pre-booked space. The car park listed on our website is open 24 hours a day. The car park is safe and insured, so that you can be sure your vehicle is secure at all times. It can accommodate different types of vehicles, such as cars and vans. You can also keep your car keys, a service much appreciated amongst our customers. By booking at ParkCloud you will benefit all the feature of city parking. You can pre-book your parking space online. Within 5 minutes you can guarantee your parking space. By visiting ParkCloud, you can compare, choose and book you desired car park.